The Matfer Bourgeat 8 5/8 in. 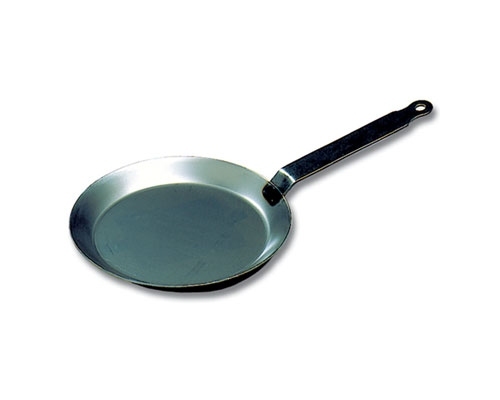 Carbon Steel Fry Pan is a heavy duty, high quality steel pan with a strong steel handle. 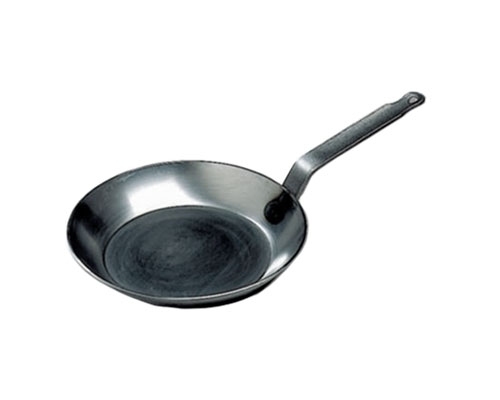 You can season it like cast iron to enhance non-stick performance and will extend the life of the pan. This pan is ok to use on all heating elements, including induction. The Matfer Bourgeat 9 1/2 in. 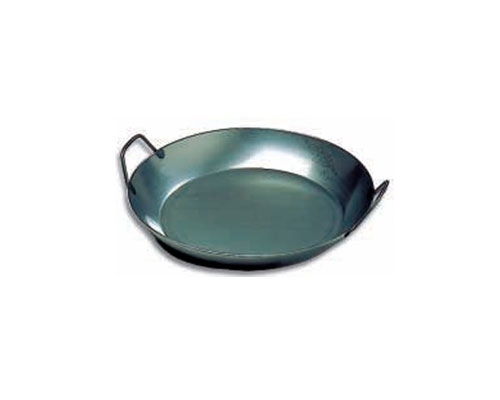 Carbon Steel Fry Pan is a heavy duty, high quality steel pan with a strong steel handle. You can season it like cast iron to enhance non-stick performance and will extend the life of the pan. This pan is ok to use on all heating elements, including induction. Bottom Base: 6 3/4 in. The Matfer Bourgeat 10 1/4 in. 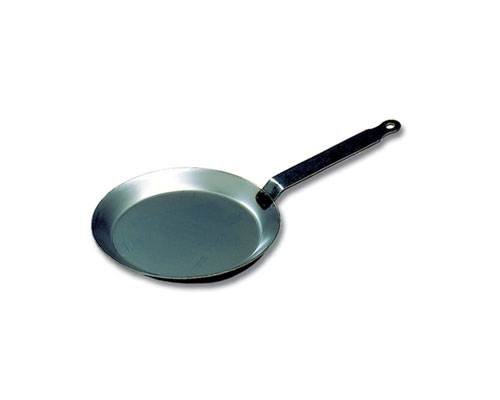 Carbon Steel Fry Pan is a heavy duty, high quality steel pan with a strong steel handle. You can season it like cast iron to enhance non-stick performance and will extend the life of the pan. 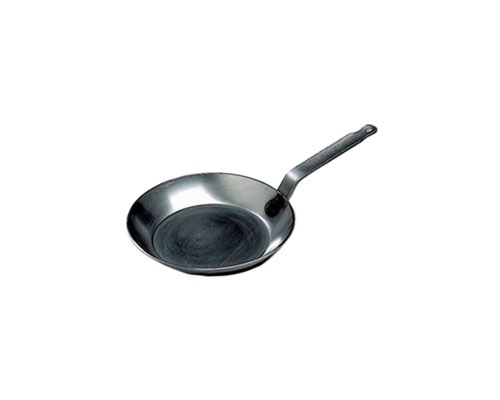 This pan is ok to use on all heating elements, including induction. Bottom Base: 7 1/2 in. The Matfer Bourgeat 11 in. 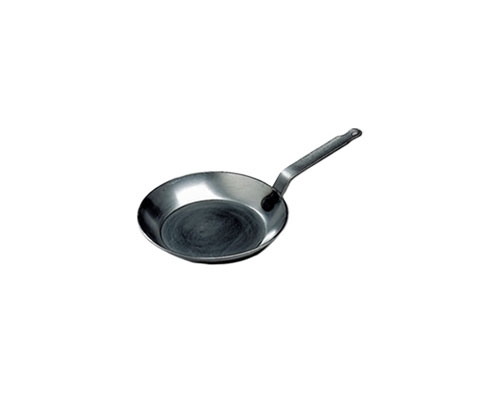 Carbon Steel Fry Pan is a heavy duty, high quality steel pan with a strong steel handle. You can season it like cast iron to enhance non-stick performance and will extend the life of the pan. This pan is ok to use on all heating elements, including induction. The Matfer Bourgeat 11 7/8 in. 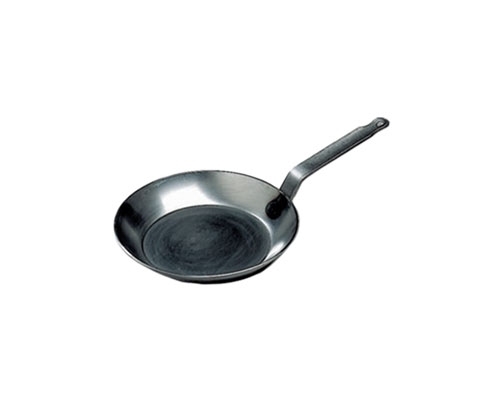 Carbon Steel Fry Pan is a heavy duty, high quality steel pan with a strong steel handle. 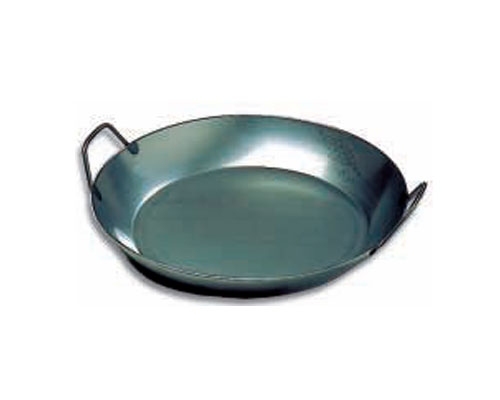 You can season it like cast iron to enhance non-stick performance and will extend the life of the pan. 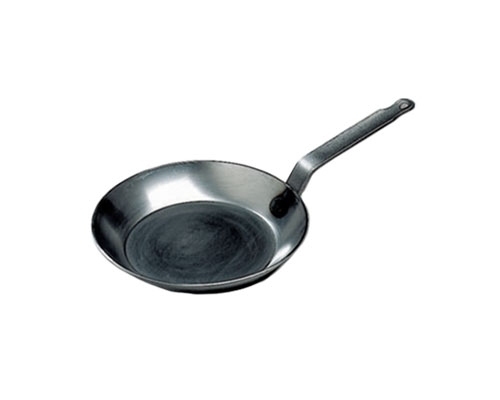 This pan is ok to use on all heating elements, including induction. The Matfer Bourgeat 12 5/8 in. 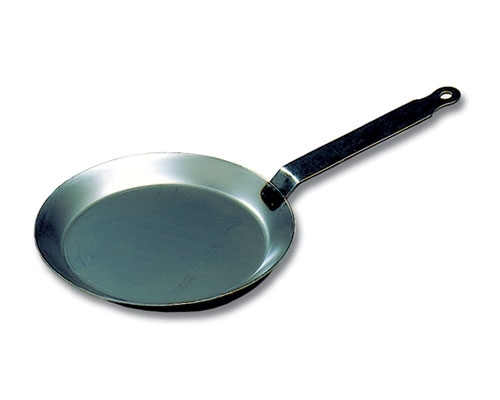 Carbon Steel Fry Pan is a heavy duty, high quality steel pan with a strong steel handle. You can season it like cast iron to enhance non-stick performance and will extend the life of the pan. 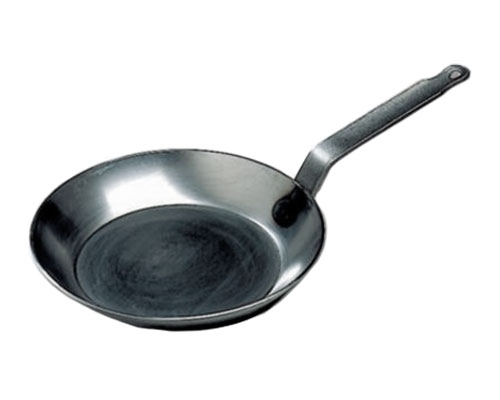 This pan is ok to use on all heating elements, including induction. Bottom Base: 9 1/2 in. The Matfer Bourgeat 14 1/8 in. 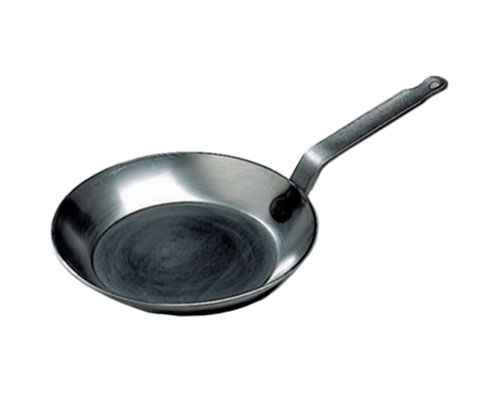 Carbon Steel Fry Pan is a heavy duty, high quality steel pan with a strong steel handle. You can season it like cast iron to enhance non-stick performance and will extend the life of the pan. This pan is ok to use on all heating elements, including induction. The Matfer Bourgeat 15 3/4 in. 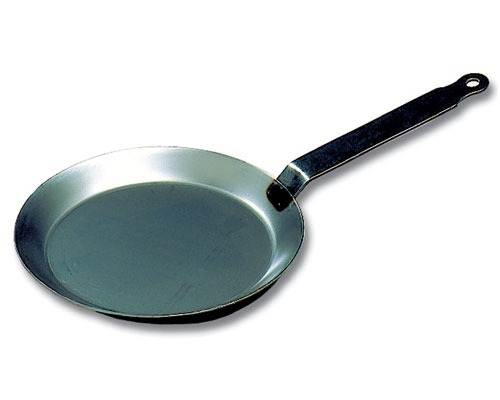 Carbon Steel Fry Pan is a heavy duty, high quality steel pan with a strong steel handle. You can season it like cast iron to enhance non-stick performance and will extend the life of the pan. This pan is ok to use on all heating elements, including induction. Bottom Base: 5 1/2 in. Bottom Base: 6 1/4 in.